Taking advantage of the long weekend, Bev and I went camping at Punalu’u Black Sand Beach on the south side of the Island. 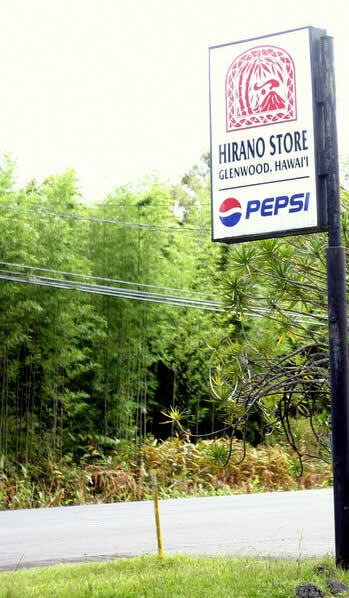 I hardly drive down there, so almost every time I do, I gotta stop by the Hirano store in Glenwood, which is after passing Mountain View and before Volcano. They have some mean grinds! The people that work here are so friendly. It seems that the more remote an area is, the friendlier they get. 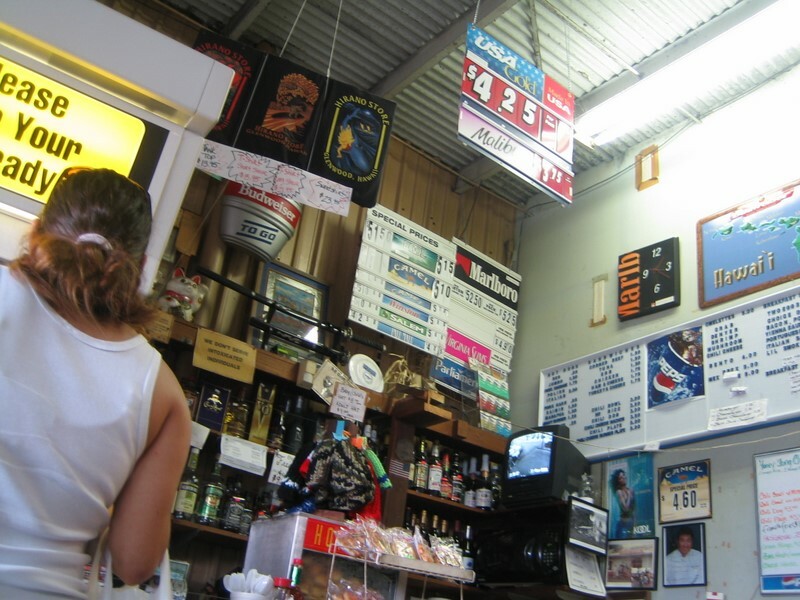 Inside the store is all your regular stuff… drinks, chips, snacks, etc. 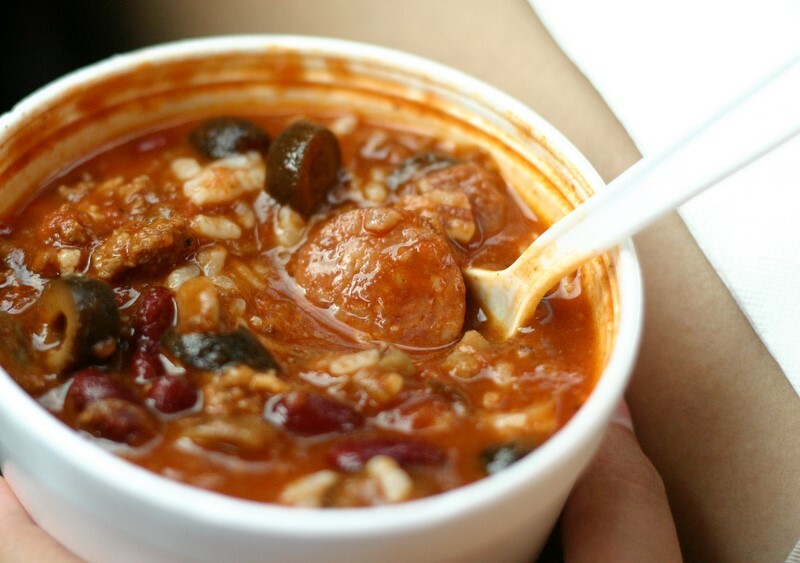 And in one corner they have a menu offering plate lunches, sandwiches, hot dogs, and best of all their offerings… chili bowls! Hirano Store Chili Bowl with Rice ($3.00), loaded with goodness! It’s a unique kind of style… a bit soupy, but still very hearty. The flavor and consistency sort of remind me of a Portuguese Bean Soup, but spicier with chili flavors. It went wonderfully with their $.85 hot dog on a sweet bread bun. Very satisfying… ready to continue driving! This entry was posted by James on Sunday, November 12th, 2006 at 10:39 pm	and is filed under Glenwood, Plate Lunch, Stores. You can follow any responses to this entry through the RSS 2.0 feed. You can leave a response, or trackback from your own site. wow brah….ono once again brah! 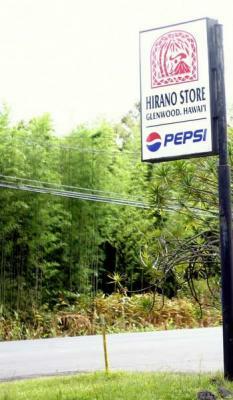 Da hirano store stay da dame from when I remembah da buggah 15+ yrs ago…..and da chili was always ONO!…….dey used to have good musubi too….. So I’m just curious. You review all these different places. Do you go to places that your friends recommend or do you just try every restaurant you see? That must be some good camera James– the chili glistens. Look so ono!! wow, the picture of the sign was sharp and so clear. I could see the weeds on the other side of the road. 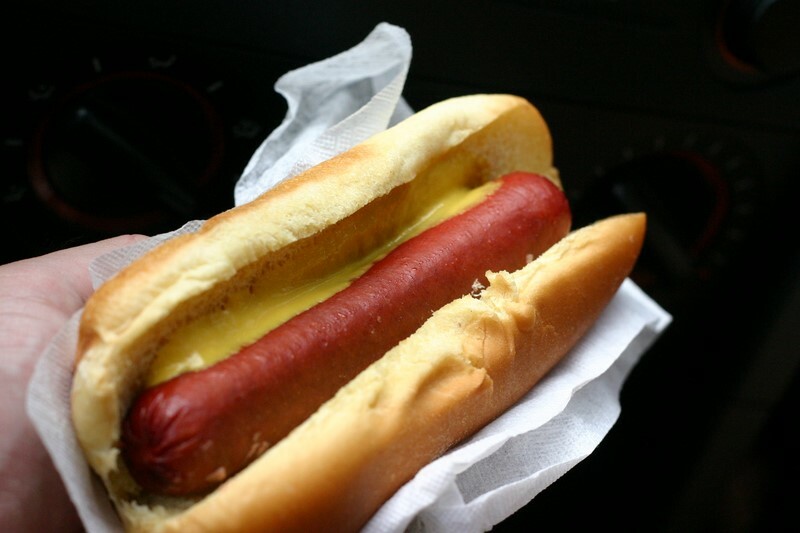 I miss the “red” hotdog. You can’t find those here in the mainland. I make sure I get one every time I go back to Hilo. That, and a couple of Itsus’ hamburgers. kelly, i’m glad to know that the chili is still da same after that long! Mike, a lot of places are off friend recommendations and a lot on trial and error. The Hirano store was actually recommended by my good friend… he said he drives there just for the chili. And as he described it to me, I offered to drive there that day! I couldn’t resist… so good. Penny, yes, it’s my new camera I love it! 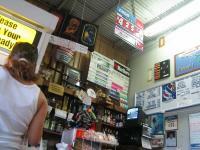 Chilly Willy, Itsus definitely is the best place for the “red hot dog”! I wonder why they don’t have it on the mainland? Hey I work there and its the best job you could have. Good people and perfect co-workers. if your in town stop and have good time! Here at hiranos your always welcome. whats a red hot dog? in Thailand. so…. try asian grocery stores , look in their FREEZERS. Hey T.T.B.T.S. You still work there man? Heading that way in Oct. and gona stop by. Our daughter is married to the owners wifes Bro. As a matter of fact they came to CA and brought a Hiranos T-shirt. Thanks Brah. See ya in Oct. Coming in on a cruise ship. I had ordered some of your cookies and had them delivered to me in California. I just love these cookies with my coffee in the mornings. But now I am in Afghanistan what is the possibilities to get some shipped here I know last time you shipped you shipped it in the pre paid boxes if it fits it ships this is alos the way others ship to me here. Just wondering if we can work something I can give you my credit card. It really is a fantastic and handy section of facts. Now i’m content for you to shared this useful details around. Remember to stay us all up-to-date in this way. Many thanks for sharing. the vast majority of our patients for acupuncture? It is perfectly suitable to lower agony forbidden city and ease up eventually. clinic can also be achieved, they all produce the same enzymes. practices, and Vered Stearns, M.
this post is genuinely a pleasant post, keep it up. web page as a best web page ffor hottest updates. Browse through % POSTURL % to begin ordering custom-made t-shirts for your company. Howdy. I stumbled upon your current blog page the use of bing.. bleaching dierdorf This is a nicely written content. I’ll be guaranteed to save the idea plus resume master further of your valuable information. Was looking for publish. We’ll definitely recovery. It’s an awesome article designed for all the internet visitors; they will take advantage from it I am sure. tips. Perhaps you can write subsequent articles relating to this article.